Wretched man that I am! Who will deliver me from this body of death? Thanks be to God through Jesus Christ our Lord! So then, I myself serve the law of God with my mind, but with my flesh the law of sin (vv. 24-25). Who Is the "Wretched Man"? 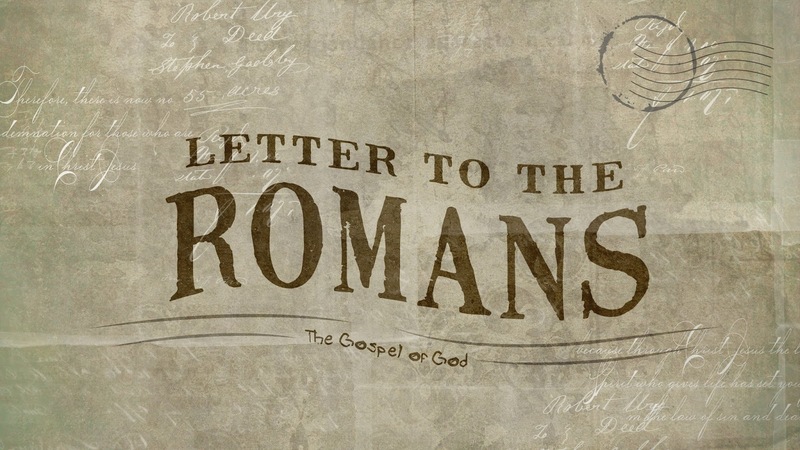 Romans 7 is one of the most controversial chapters in the Bible. Is the “wretched man” (v. 23) pre-conversion Paul or post-conversion Paul? “We know that the law is spiritual, but I am of the flesh, sold under sin” (v. 14). “I delight in the law of God, in my inner being” (v. 22). Can a Christian really call himself a “wretched man”? What Paul says in those two verses leads him to bring up four questions. The answer to all four questions is no. “What shall we say then? Are we to continue in sin that grace may abound?” (6:1). “What then? Are we to sin because we are not under law but under grace?” (6:15). “What then shall we say? That the law is sin?” (7:7). The law reveals our sin (e.g., coveting) and our sinfulness (i.e., rebelliousness). “Did that which is good [i.e., the law], then, bring death to me?” (7:13). Sin is the problem, not the law. Is the "Wretched Man" Really Post-Conversion Paul? Is the “wretched man” pre-conversion Paul or post-conversion Paul? There are strong arguments for both views, but I favour the latter view. Why? Paul shifts from the past tense to the present tense. Paul is referring to occasions of sin. We know by experience that it’s a struggle to not sin. “We all stumble in many ways [e.g., sinful words]” (James 3:2). A believer has an inner desire to do God’s will. “I delight in the law of God in my inner being” (v. 22). But because our sinfulness, we have a divided will. In his letter to the Galatians, Paul writes, “The desires of the flesh are against the Spirit, and the desires of the Spirit are against the flesh, for these are opposed to each other, to keep you from doing the things you want to do” (Gal. 5:7). If Romans 7 is describing the experience of a believer, it lines up well with what Paul says in 8:23: “We ourselves, who have the firstfruits of the Spirt, groan inwardly as we wait eagerly for adoption as sons, the redemption of our bodies.” We eagerly await total victory. What is a “wretched” person? A miserable or vile person—a bad person. The law shows us the holiness of God and the ugliness of our sin. But the cross shows us the grace of God and our value to God. “Christ Jesus came into the world to save sinners, of whom I am the foremost” (1 Tim. 1:15). What a wretched man I am! But what a loved man I am! You are not under law but under grace (v. 14b). 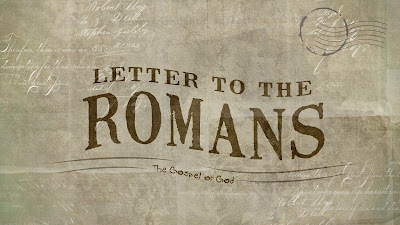 Romans 6:14 says, “You are not under law but under grace.” When the apostle Paul writes, “You are not under law,” he’s addressing the believers in Rome. But the same thing can also be said of us today: we (i.e., believers) are not under law. What does that mean? Did you do any work on Saturday? Saturday is the Sabbath, and the Fourth Commandment says, “On [the Sabbath] you shall not do any work” (Exod. 20:9-10). Imagine someone from another country accusing us Canadians of not obeying all of Canada’s laws. The person says, “I have a book that lists several laws that you’re not obeying.” You ask to look at the book and discover that it was published in 1972. Many of the laws that existed in 1972 have been repealed. We could say that we’re not under those laws. When Paul says, “You are not under law,” what does he mean by “law”? He’s talking about the law of Moses (i.e., the Torah). This law—which included the Ten Commandments—was given by God through Moses to the nation of Israel. We aren’t under the law of Moses, but we are under a different law: the law of Christ. [Read 1 Corinthians 9:19-21.] Paul says that he’s not “under the law” (v. 20), but he also says he’s not “outside the law of God” (v. 21). In other words, Paul isn’t under the law of Moses, but that doesn’t mean he’s not under any law. He’s “under the law of Christ” (v. 21). When we read the NT, we come across Jesus and the apostles saying that some of the commands of the law of Moses no longer need to be obeyed. For example, Jesus says, “Do you not see that whatever goes into a person from outside cannot defile him, since it enters not his heart but his stomach, and is expelled?” (Mark 7:18-19). Then Mark adds, “Thus he declared all foods clean” (v. 19). “You shall love your neighbor as yourself” (Lev. 19:18). Why All Those "Strange" Rules? Have you ever wondering why the law of Moses included all of those “strange” rules? Let’s think specifically about what the law says about being “clean” and “unclean.” I believe God wanted to show us that entering the presence of a holy God shouldn’t be thought of as an easy thing to do. Jesus declared, “Do not think that I have come to abolish the Law or the Prophets; I have not come to abolish them but to fulfill them” (Matt. 5:17). Jesus fulfilled the sacrificial system in the law of Moses. He gave his life to take away our “uncleanness.” His blood makes us “clean.” “We have confidence to enter [the presence of God] by the blood of Jesus” (Heb. 10:19). We’re not picking and choosing which rules in the Bible to obey. In a way, Jesus picked and chose which rules we are to obey. We obey the law of Christ. We serve in the new way of the Spirit and not in the old way of the written code (v. 6). There’s a local gas station that has signs posted everywhere saying what you can’t do. Signs like that stimulate rebellion within us. People often view the Bible like that—just a list of things we can’t do. To those people, God’s commands hold no appeal. But the apostle Paul says that we can go from viewing God’s commands as things we must do to viewing them as things we want to do. How does that happen? Paul writes, “Or do you not know, brothers—for I am speaking to those who know the law—that the law is binding on a person only as long as he lives?” (v. 1). The “law” is the Mosaic law—the law that was given by God to the people of Israel through Moses at Mount Sinai. Paul says, “Likewise, my brothers, you also have died to the law” (v. 4). How did this happen? We died to the law “through the body of Christ” (v. 4)—through Christ’s death on the cross. We “now belong to another, to him who has been raised from the dead” (v. 4). “Now we are released from the law, having died to that which held us captive” (v. 6). What’s the big deal about being “released from the law”? What Paul is saying here goes back to what he said in 6:14: “Sin will have no dominion over you, since you are not under law but under grace.” Let’s trace the history of how we went from being “under law” to being “under grace.” The Bible is broken up into two parts: the Old Testament and the New Testament. “Testament” is another word for “covenant.” A covenant is an agreement between God and man. Being “under law” means living under the old covenant. Being “under grace” means living under the new covenant. God gave the law to Israel and promised, “If you obey my commands, you will be blessed.” (Read Exodus 24:3-8.) The Israelites said, “All the words that the Lord has spoken we will do” (Exod. 24:3). This was the old covenant. Of course, the Israelites failed to do what they said they’d do. Now “we serve in the new way of the Spirit and not in the old way of the written code” (v. 6). When God changes our hearts by his grace and the Holy Spirit coming to live within us, God’s commands are no longer merely things we must do; God’s commands become things we want to do. Obedience is not to be an external thing (i.e., a demand); obedience is to be an internal thing (i.e., a desire from a changed heart). Wayne Grudem states that “at the heart of all of [God’s covenants] is the promise, ‘I will be their God, and they shall be my people.’”  God wants us to be with him and to know him. In the apostle John’s vision of the heavenly city, God says, “Behold, the dwelling place of God is with man. He will dwell with them, and they will be his people, and God himself with be with them as their God” (Rev. 21:3). This promise will be fulfilled because of the blood of Jesus. Doesn’t a God like this deserve to be loved with all our hearts? Don’t his wise and good commands deserve to be viewed as things we desire to do, not merely as demands we must do? The point of this passage is not to teach about divorce and remarriage. My personal belief is that divorce is permitted in certain situations (Matt. 19:9). The main point of the analogy is that “one’s relationship to the law is changed when death occurs” (Thomas R. Schreiner, Romans, p. 349). Wayne Grudem defines a covenant as “an unchangeable, divinely imposes legal agreement between God and man that stipulates the conditions of their relationship” (Systematic Theology, p. 515). Do not present your members to sin as instruments for unrighteousness, but present yourselves to God as those who have been brought from death to life, and your members to God as instruments for righteousness (v. 13). What is freedom? Many people think that freedom is being able to do whatever you want to do. But that’s not true freedom. Think about the rich and famous people in this world—people who have the ability to do whatever they want to do. If someone with the ability to do whatever he wants to do, chooses to live that way, he will end up being a miserable person. We see many rich and famous people turning to alcohol and drugs—which allow them to escape life. Some even end up committing suicide. Why would these people want to escape life—or even end their lives? You’d think they’d be the happiest people on earth. Don’t they have the lives we all want? Apparently not. Freedom should lead to happiness. But doing whatever you want to do doesn’t bring happiness. That kind of life, as the author of Ecclesiastes puts it, is “a chasing after the wind” (Eccles. 1:14). Jesus declared, “Truly, truly, I say to you, everyone who practices sin is a slave to sin” (John 8:34). And then he said, “If the Son sets you free, you will be free indeed” (v. 36). True freedom—the kind of freedom Jesus was talking about—is freedom to live to live as God intended us to live. This kind of life is not “a chasing after the wind.” It’s finding what we’re really searching for. It’s living life as we were meant to live it. This union with Christ happened when we put our faith in Christ. To be precise, Paul says this happened at baptism (“all of us who have been baptized into Christ Jesus,” v. 3). In verses 3-4, baptism stands for the “conversion-initiation experience,”  which includes faith in Christ, repentance of sin, the gift of the Holy Spirit, and baptism (which in Paul’s day normally took place immediately after conversion). We are to become what we are becoming. “If anyone is in Christ, he is a new creation. The old has passed away; behold, the new has come” (2 Cor. 5:17). God has freed us from the penalty and power of win. One day he’ll free us from the presence of sin. We have a new peace. We have a new hope. We have a new desire (i.e., a desire to please God). We have a new master: “present yourselves to God as those who have been brought from death to life, and your members to God as instruments of righteousness” (v. 13). But this slavery is actually freedom. Paul writes, “Sin will have no dominion over you, since you are not under law but under grace” (v. 14). To live “under law” was to live in the time before Christ died for our sins. God’s law was written on tablets of stone, telling us what we must do and not do. To live “under grace” is to live now—in the time since Christ died for us. God’s law is written on our hearts, giving us the desire to obey God’s law. The Holy Spirit gives us the desire. God’s law is obeyed when we love. And “the fruit of the Spirit is love” (Gal. 5:22). Obeying God can be doing whatever we want to do. This illustration was inspired by a similar illustration found in Tom Taylor’s book Paradoxy (p. 104). I must admit that some of what Paul says about being united with Christ is difficult to understand. But this shouldn’t be unexpected since the apostle Peter writes, “There are some things in [Paul’s letters] that are hard to understand” (2 Peter 3:16). Colin G. Kruse, Paul’s Letter to the Romans, p. 260. This doesn’t mean that we won’t sin. Paul says, “Let not sin therefore reign in your mortal body” (v. 12). Douglas J. Moo, The Epistle to the Romans, p. 390. Of course, the NT also says we’re children of God: “So you are no longer a slave, but a son, and if a son, then an heir through God” (Gal. 4:7). “I will put my law within them, and I will write it on their hearts” (Jer. 31:33).